The 13-year-old girl who was injured in a Ferris wheel accident yesterday at Veyangoda has succumbed to injuries this morning (5). The Police said a bucket seat of the Ferris wheel collapsed last morning while the girl and her 47-year-old mother, residents of Siyambalapitiya, Kotugoda, were riding on it. The mother died yesterday on admission to the Gampaha Hospital. However, the 13-year-old girl died while receiving treatment at the Gampaha Hospital this morning. 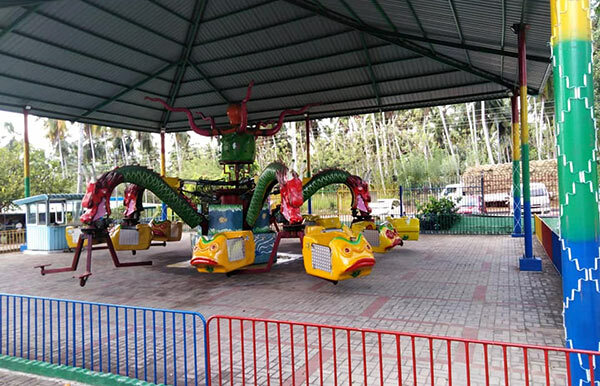 Meanwhile, the Veyangoda Police who commenced an investigation into the incident had arrested six persons including the owner of the theme park. The Police said the manager, the machine operator and three technicians were among the arrested. They said that the suspects would be produced in the Attanagalle Magistrate’s Court. Standards, Health & Safety, What is the governing body of these mushrooming theme parks? These outfits are owned by goons elected to Local Councils a year ago where Pohottuwa swept the board. The goons who were elected are not controlled by any law. Pohottuwa sent them to Council to make money and become rich and support Pohottuwa forever.